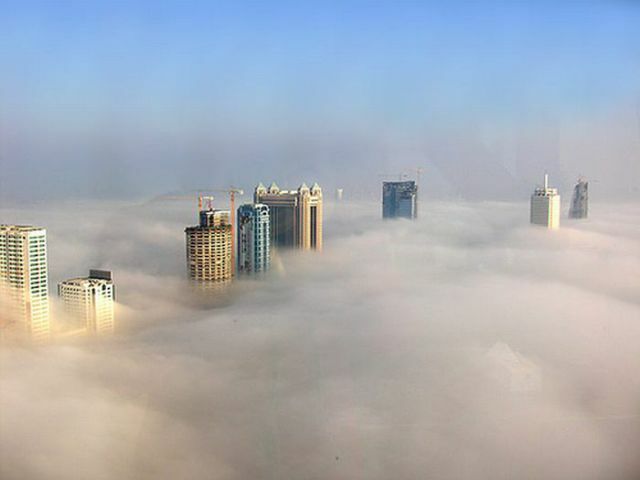 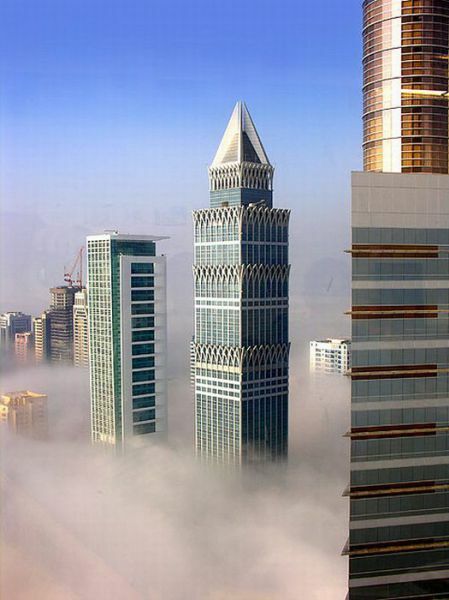 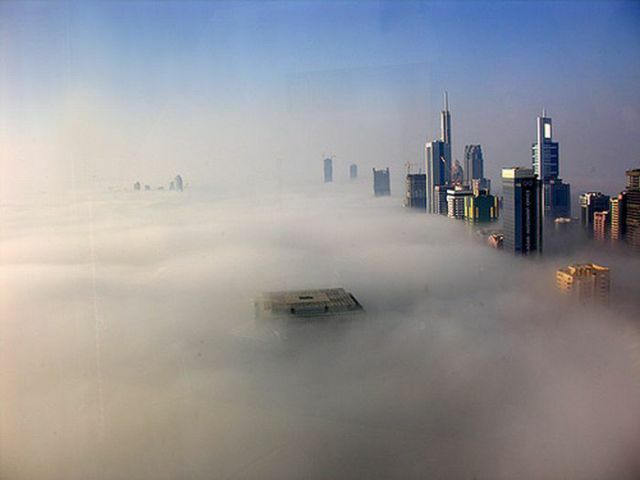 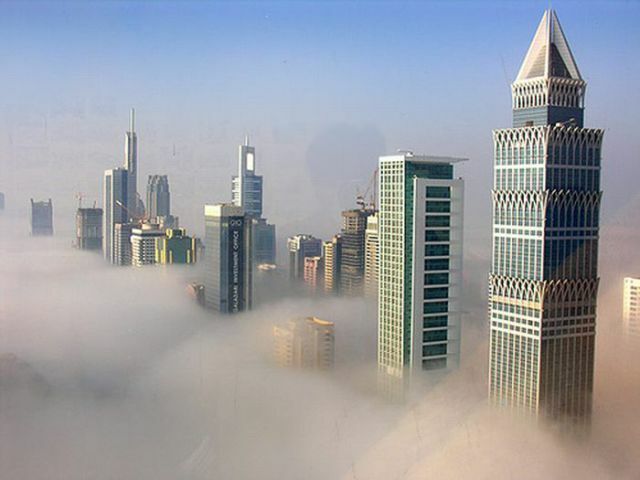 These are photos of Dubai in the fog. 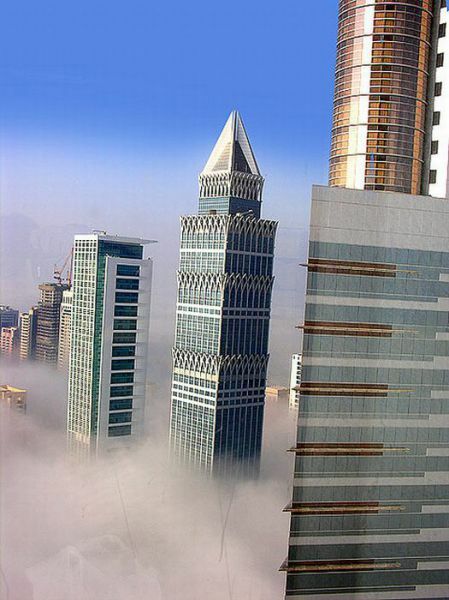 They were taken in December 2005 from the 33rd level of the Emirates Towers. 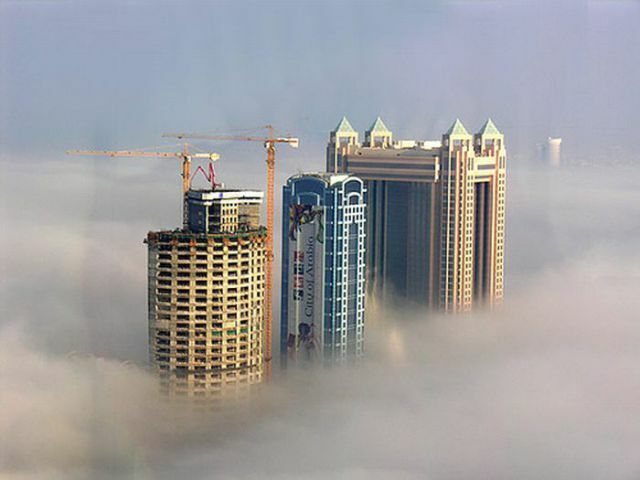 The skyscrapers are absolutely beautiful especially in the fog. 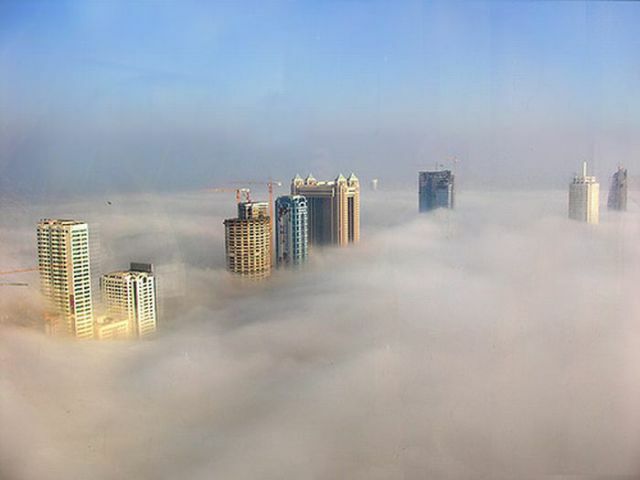 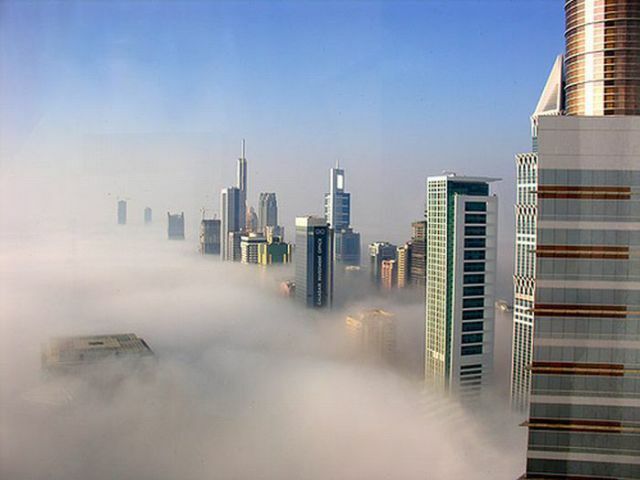 Dubai is a beautiful city but the fog makes it mysterious and even more beautiful.